My science fiction assassin series, AGENT G, is now available for Pre-Order from Amazon.com. We’ve got a lot of faith in this story and we’ll be doing a simultaneous release on Audible, Kindle, Kindle Unlimited, and in paperback form for those who want to check it out. Jeffrey Kafer will, once more, be doing the voice work for my series and I can tell you it’s probably his best work yet. What is Agent G about? Well, let’s share it’s blurb. The International Refugee Society has twenty-six cybernetically enhanced “Letters,” and for the right price, they’ll eliminate anyone. They’ve given up their families and their memories for ten years of service with the promise of a life of luxury awaiting them. Agent G is one of these “Letters,” but clues to his past are starting to emerge while he’s on a dangerous mission to infiltrate the Society’s most dangerous competitor. In the midst of all the violence, subterfuge, and deceit, he’ll need to keep his wits about him and trust sparingly. After all if an organization will kill for money, what would they do to keep the truth hidden? The Agent G series is set in a pre-cyberpunk world in the far off future of 2018. The world is full of dueling spies, assassins, and mercenaries who are all for sale to the highest bidder. These groups have access to Black Technology which allows them to test and use it for their employers but comes with the cost of a ticking clock until it all comes out in the open. Eventually, the world is going to change in this series and transition to the kind of cyberpunk dystopia found in stories like Ghost in the Shell and Deus Ex. The question is whether G will manage to survive it and protect those few people he cares about. Also, whether he deserves to be able to. 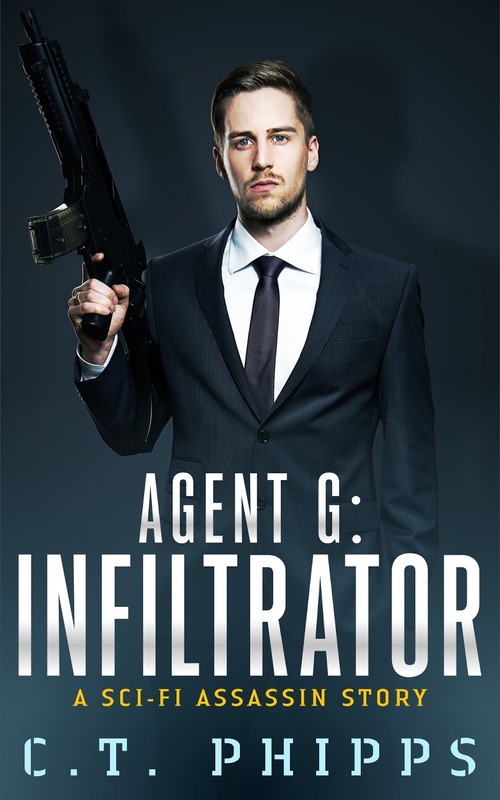 Expect to see the sequel story, Agent G: Infiltrator in June. Yes, only two months from the first novel’s release! Pick up your pre-order today! 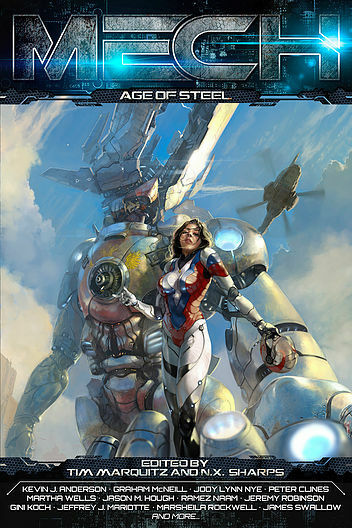 One of the most anticipated books coming out from Ragnarok Publication this year is Mecha: Age of Steel which is the spiritual successor to their Kaiju: Age of Monsters anthology. In the Kaiju novel, they celebrated giant monsters and the robots which fought them. In Mecha, however, they’re doing a wonderfully adult take on the mecha genre. While I didn’t write any stories for the anthology, I am going to be writing an introduction for the simple fact I am a huge-huge mecha fan. Here, on Ragnarok, I’ve already posted an article which I think people will like. I remember when I was busing tables in high school, I got to see Gundam Wing as my first mecha anime. In retrospect, it had a lot of flaws but it had politics, depth, and amazing animated fights between gigantic robots. Much to my surprise, I found out most of my friends were already mecha fans. Some had been introduced to the genre by Robotech, Power Rangers, and Voltron: Defender of the Universe. After I watched Gundam Wing, I devoted myself to dozens of other series and gradually familiarized myself with the tropes inherent to each. I can describe intimately the in’s and out’s of Evangelions, Zakus, Arm Slaves, Gunmen, Aestivalis, and Go-Lions. In short, in matters mecha-nical, I am the very model of a Modern Mecha General. I may not keep up with the genre quite as much as I used to but the fact Ragnarok Publications was coming out with a giant robot anthology made me know I had to be involved.